What are the WEQx Games™? The inaugural year of WEQx Games™ competition intends to have nine spectator-friendly equine competitions that highlight the accessibility, diversity, athleticism, and passion for horses and horse sport for athletes of all ages. The 2018 WEQx Games™ will be held alongside the FEI World Equestrian Games™ Tryon 2018 (WEG) this September 11-23, which is also being hosted by TIEC. Athletes are invited to compete to become the inaugural 2018 WEQx Games™ and/or U.S. Open Champion. A total of nine competitions are planned for the inaugural WEQx Games™. Equestrian athletes interested in competing in any of the events must register their interest in participating by Tuesday, May 15, 2018. Details of the competition and qualifying information will be available shortly at the following link: www.Tryon2018.com/WEQxGames. To register to participate, riders or trainers must fill out their respective competition’s inquiry form below the by May 15, 2018. The WEQx Games™ Organizing Committee will assess the final competition schedule and qualifying information based on interest from exhibitors. All Jumping competitions are national classes and as such, entries are restricted by the provisions of FEI General Regulations Article 101 (maximum of four National Federations and/or a maximum of 15 foreign athletes). Entry fees will vary based on prize money of competitions and will not exceed all inclusive $1,250. The WEQx Games™ will take place following FEI World Equestrian Games™ Tryon 2018 competition during the day. The events will take place between 8:00 p.m. EST and 10:00 p.m. EST. U-25 U.S. Open Championship™ – A two class competition over two days during the 2018 WEG and will highlight the world’s up and coming riders under 25 years of age in the discipline of Show Jumping. Total prize money over the two days will be $50,000. The U-25 U.S. Open Championship™ will be crowned at the conclusion of the event. U.S. Open Speed Horse ™– A 1.40m, two-team relay featuring 32 two-member teams will navigate an Alan Wade-designed course to compete for $100,000. Riders can create their own two-person teams. The Qualifying course and the Final course will be the same and available for practice. DERBYx™ – A derivative of a Hunter Derby competition will be open to 24 competitors that will compete for a $100,000 in prize money. The optimum time competition will have 15 jumps and be objectively scored based on a set criteria. Battle of the Sexes – A three-event jumping competition featuring a 1.30m match race, speed class and relay with 10 men versus 10 women from the U.S. Ranking List among non-WEG participants or non-WEG reserves. The competition will highlight the only Olympic sport where men compete with women as equals. The teams will compete for $75,000 in prize money. 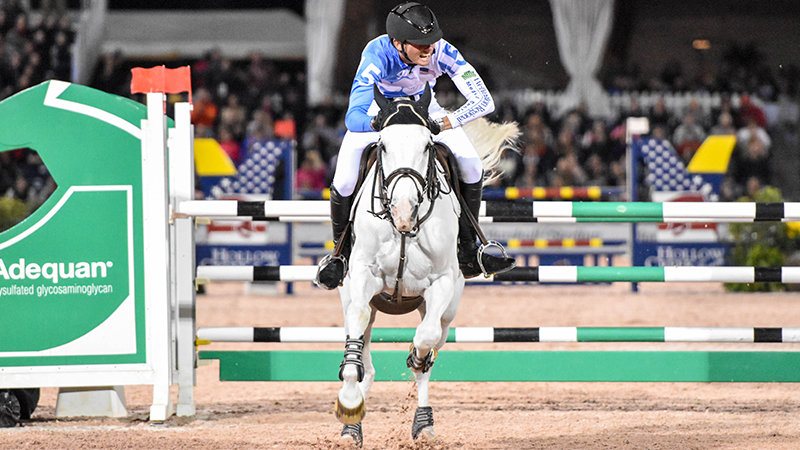 Match Race – A 1.30m competition where two riders face off in the ring over a mirrored course. Standard FEI rules to apply – two second faults converted, open to 24 competitors. Riders compete for a $50,000 prize. Puissance – Demonstrating a horse and rider’s ability to clear a single fence that increases in height after each round – to as much as seven feet and is limited to four rounds. Riders will compete for a $50,000 prize. Six Bar – A challenge where horse and rider combinations jump a series of six vertical fences placed in a straight line with two strides between each fence. The six fences are progressively higher from fence one through six and are all raised after each round. Riders will compete for a total $50,000 prize. 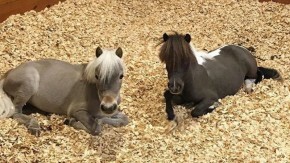 Pony Jumpers – A competition where the top child riders of the sport compete for a $10,000 prize. 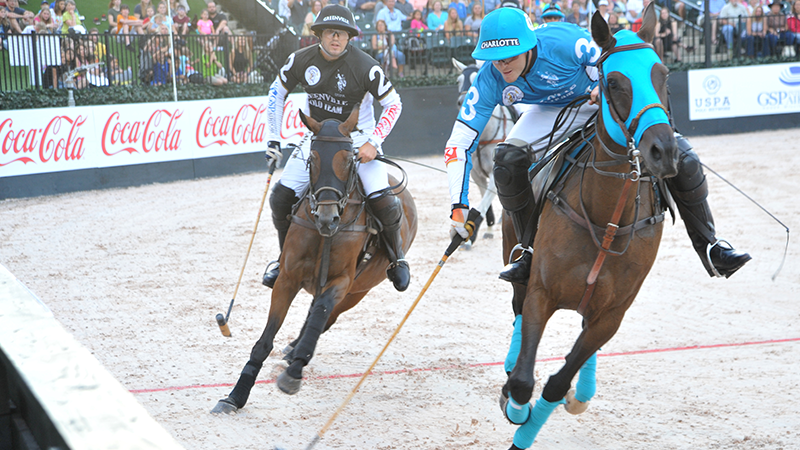 Gladiator Polo™ – A professional three-on-three arena polo match with modified rules that keep the play fast. 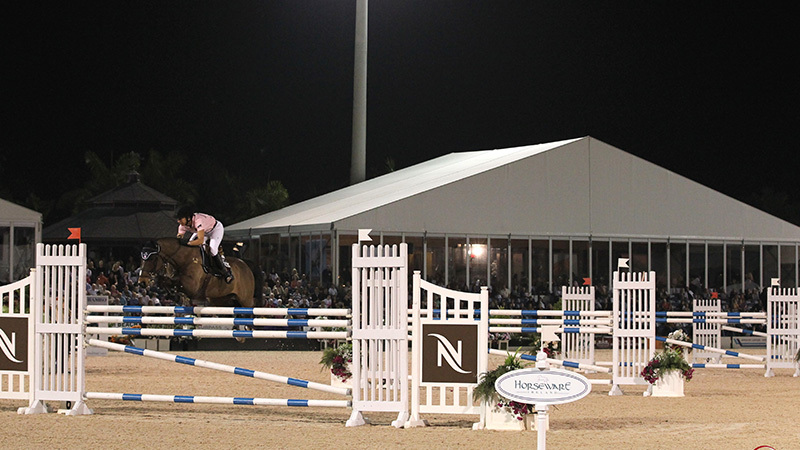 The event is played in a ring with all-weather footing that is approximately 310-feet x 250-feet, which is one-tenth the size of a typical grass polo field. Four international teams will compete for $100,000 in prize money. 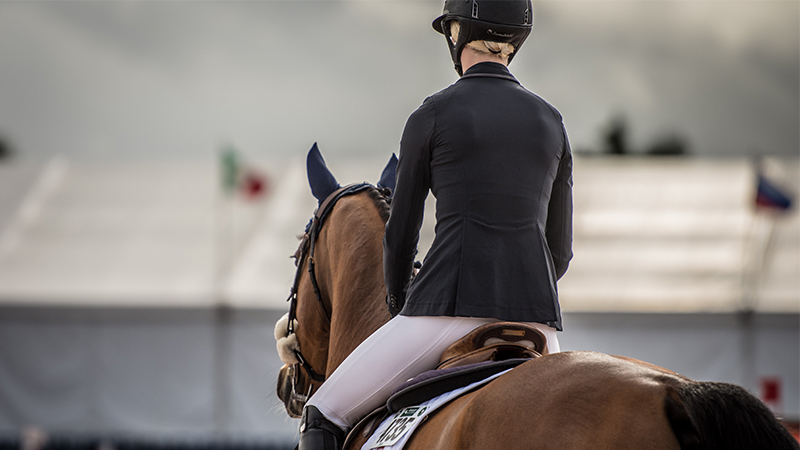 The WEQx Games™ concept and competitions have been approved by the FEI and the USEF Board of Directors with the intent to grow interest in horse sport. How do I learn more about the 2018 WEQx Games™? For media inquiries, please contact media@tryon.com or call 828-863-1178.